Tropea is a municipality located within the province of Vibo Valentia, in Calabria (southern Italy).The town is a famous bathing place, situated on a reef, in the gulf of St. Start off your visit on the 25th (Tue): see some colorful creatures with a scuba or snorkeling tour, pause for some serene contemplation at The Sanctuary of Santa Maria dell'Isola, and then kick back and relax at Tropea Beach. Get ready for a full day of sightseeing on the next day: kick back and relax at Praia di Fuoco, then enjoy the sand and surf at Praia i Focu, and then kick back and relax at Capo Vaticano. To see more things to do, traveler tips, maps, and tourist information, you can read our Tropea trip planner . Johannesburg, South Africa to Tropea is an approximately 18.5-hour flight. Traveling from Johannesburg to Tropea, you'll gain 1 hour due to the time zone difference. Traveling from Johannesburg in June, expect nights in Tropea to be much hotter, around 20°C, while days are somewhat warmer, around 30°C. Finish your sightseeing early on the 26th (Wed) so you can travel to Forio. 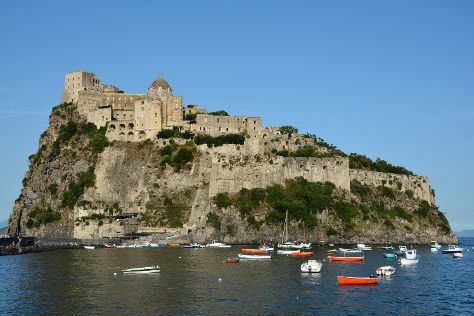 Start off your visit on the 27th (Thu): admire the natural beauty at Giardini La Mortella, step into the grandiose world of Castello Aragonese d'Ischia, and then enjoy the sand and surf at Bagno Franco. For where to stay, other places to visit, and tourist information, read Forio trip itinerary planner. You can do a combination of car and ferry from Tropea to Forio in 6 hours. Other options are to do a combination of train and ferry; or do a combination of flight and ferry. In June in Forio, expect temperatures between 32°C during the day and 23°C at night. Finish your sightseeing early on the 27th (Thu) so you can travel to Capri. Start off your visit on the 28th (Fri): get engrossed in the history at Villa San Michele, trek along Fortini Coastal Walk, look for all kinds of wild species at Parco Astarita, then make a trip to I Faraglioni, and finally take in nature's colorful creations at Giardini di Augusto. For traveler tips, reviews, maps, and tourist information, read Capri online trip itinerary builder . Ride a ferry from Forio to Capri in an hour. 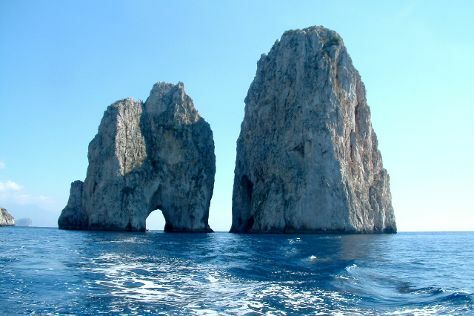 June in Capri sees daily highs of 32°C and lows of 23°C at night. Finish your sightseeing early on the 28th (Fri) to allow enough time to travel to Lisbon. Start off your visit on the 29th (Sat): kick back and relax at Guincho Beach, step into the grandiose world of Castelo dos Mouros, and then contemplate the long history of Palacio Chiado. 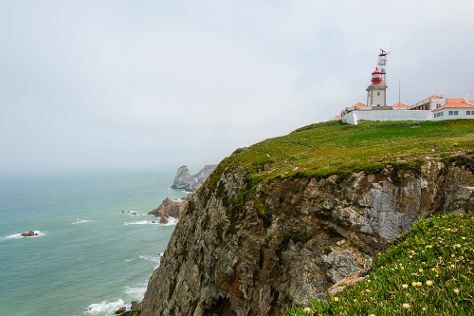 On the next day, test your problem-solving skills at popular escape rooms, then cast your line with a fishing tour, and then make a trip to Cabo da Roca. For ratings, where to stay, more things to do, and more tourist information, use the Lisbon sightseeing website . Traveling by combination of ferry and flight from Capri to Lisbon takes 7 hours. Alternatively, you can do a combination of ferry and car; or do a combination of ferry, bus, and train. The time zone difference when traveling from Capri to Lisbon is minus 1 hour. Traveling from Capri in June, Lisbon is slightly colder at night with lows of 18°C. Wrap up your sightseeing on the 30th (Sun) to allow time to travel back home.